In London, the number of people renting homes is now higher than the number of homeowners. This renting boom is only expected to increase in the future. 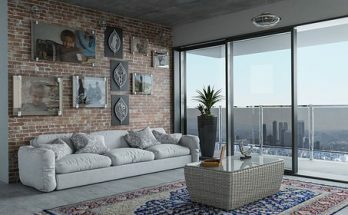 If you’re one of these renters that means sooner or later, you’ll need to give your rented flat or house a good deep cleaning before moving out. And that involves more than a quick hoovering and tidying up. Here’s everything you need to know about deep house cleaning versus a general cleaning. If you’re like most people, you’re already giving your home a general cleaning on a regular basis. A general cleaning is just what it sounds like; cleaning your home so that it’s free of dust and dirt and comfortable to live in. All of these tasks are great at removing dirt and dust on the surface of our living spaces, or what we can see with our naked eye. A deep cleaning involves taking a look behind the scenes so to speak, and removing grime and dust that is hidden by furniture, appliances, and more. A deep cleaning is a job that is done every six months or once a year. It’s also usually carried out by professionals who have the proper equipment and cleaners to truly sanitize the home. Why Is Deep House Cleaning Important? A deep house cleaning is done when a tenant is getting ready to move out of their rented home. It’s important and often necessary because a tenant cannot retrieve their deposit unless they leave the flat or home in the same condition it was in when they first moved there. 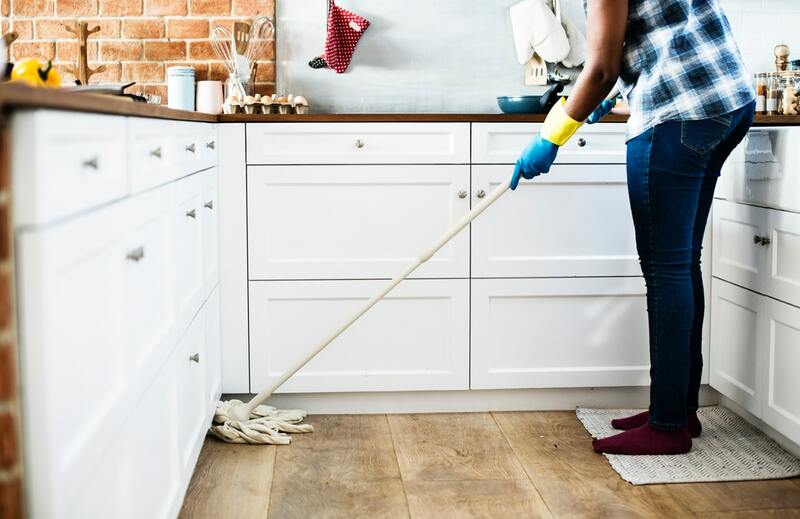 Even if you’re not planning on moving anytime soon, giving your home a deep cleaning once or twice a year leaves it in a very sanitary condition. If you or any loved ones living with you have allergies, a deep cleaning can help alleviate symptoms. Plus it just feels good living in a home that’s truly fresh and clean. Deep cleaning professionals can also detect and treat any surface mould in your home using special cleaners that kill fungi. They also take the worry out of carrying out these tasks yourself. If you’ve been putting off deep cleaning the bathroom or oven, a professional cleaning company will gladly take it on for you. What is Done During a Deep Cleaning? Months or years of cooking can cause oils and grease to accumulate everywhere in a kitchen. Grease that has built up on or behind appliances, the stove top, range hood, tiles, and more are removed during a deep cleaning. Cleaning a dirty oven is usually a homeowner’s least favourite job, so it tends to get put off. A deep cleaning will thoroughly clean the inside of the oven and remove any burnt food particles and grease. 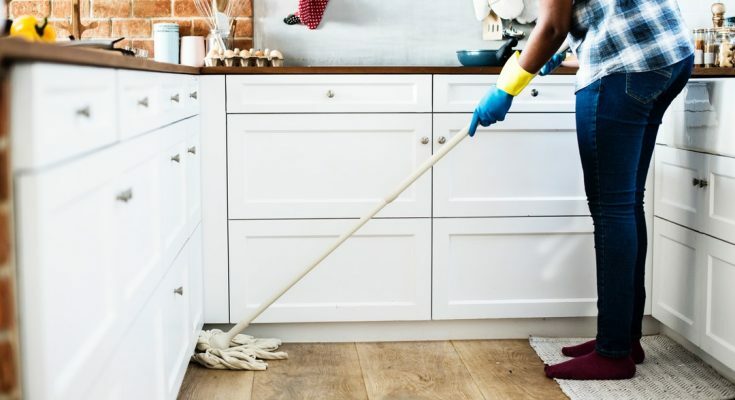 Kitchen cabinets can also collect grime; these are cleaned inside and out using a gentle soap or cleanser designed for wood or the appropriate surface. Dust and cobwebs are often not visible to the naked eye, especially when they’re underneath or behind furniture. Cleaning professionals will move items out of the way to ensure every corner of the room is spotless. They can also dust nicknacks, lamps, desktop items, and more. Carpet cleaning is also a large part of the end of tenancy deep cleaning process. The carpet will also be professionally cleaned either via steam or using carpet cleaning products. Any ceiling fans will be dusted or cleaned as well. This is a common area for mould growth due to moisture. A deep bathroom cleaning ensures no mould is left untreated. Any limescale on tiles or other surfaces will also be removed. The toilet, shower, and sink are scrubbed clean and dust and dirt are removed from the bathroom’s extractor fan grates. Windows and window frames are also cleaned during a deep cleaning session, and door handles are polished. Even light switches will be cleaned as oils from fingers can leave marks on them. If any furniture must be gently moved out of the way before it’s had a chance to be packed, a professional cleaning company will take care when moving these valuable items. 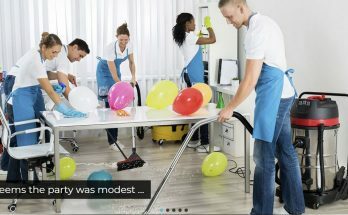 In other words, a deep cleaning pretty much covers everything from the ceiling to the floor and rids the home of grime and dust that hides in corners and behind furniture. You don’t have to wait until your end of tenancy to hire a company for a deep cleaning. You can do it as a spring cleaning ritual along with cleaning out your wardrobe. 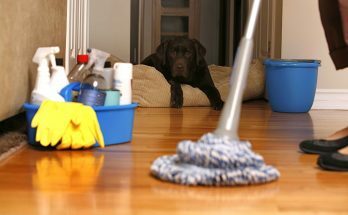 Whether you need a deep house cleaning for end of tenancy or just because your home is long overdue for one, we can help. Our professional team uses nothing but eco-friendly cleaning materials to safely clean every area of your home. We even offer a deposit back guarantee. This means if our end of tenancy cleaning doesn’t meet your landlord’s–or your–standards, we shall return to clean it so it does. We can be at your residence within days to give it a deep cleaning. Contact us today for a free quote! Next Article How to fit in the latest 2019 bathroom design ideas?